All Pokemon are inspired by some form of animal, mythical beast, or object in the “real world”. 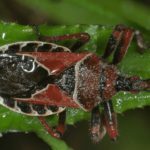 They can be as obvious as a Squirtle being a turtle or as complex as a Jynx – which is said to be based on Yama-uba in design. 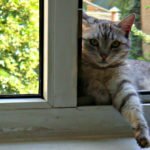 But you came here for cats, didn’t you!? 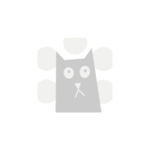 Here are all of the cat Pokemon! 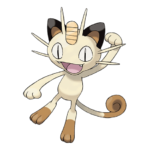 The most famous pair of felines in the Pokemon world are without a doubt, Meowth & Persian. 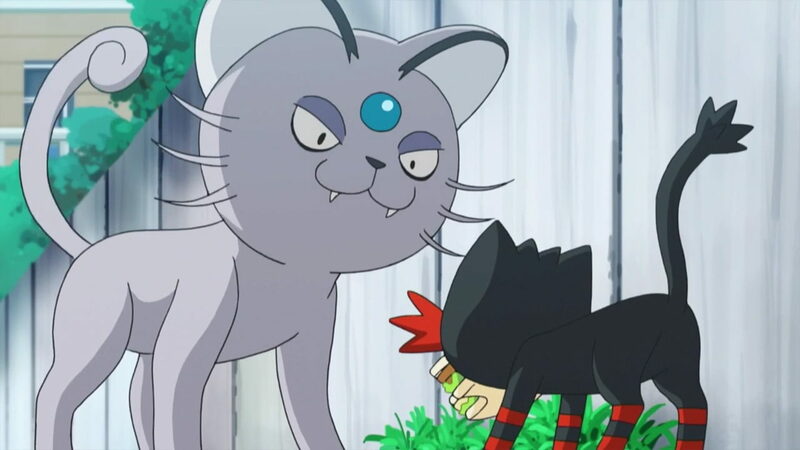 Meowth became the famous lippy cat of Team Rocket’s Jessie & James, being the only Meowth who can actually speak English. 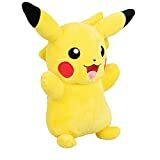 Why they continued to go after a generic Pikachu is beyond me! 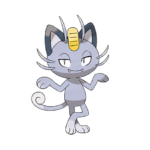 Persian which is the evolved form of Meowth is well known for being Giovanni’s (Team Rocket leader) cynical cat. When it comes to a stereotypical pair, these two take the cake… err fish? 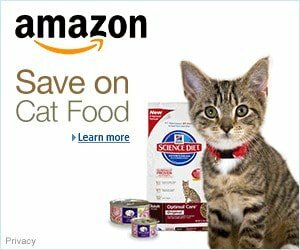 Glameow is a prissy and classy cat, something like a Siamese cat. What makes it funny is that it starts out small and cute and then grows or rather evolves into a very plumpy not-so-cute cat. Nothing wrong with a fat cat but I think the name implies it goes from “glamorous” to “ugly” as it evolves. If Catwoman was not used to inspire this Pokemon duo, I’d be shocked! 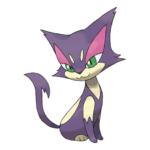 Purrloin has the typical cat features with a bit of a “masked” look to it. 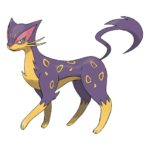 Liepard takes on another look entirely and clearly showcases that Purrloin becomes a leopard of sorts. A very nice concept and very vibrant colors make these two cats stand out from the rest. 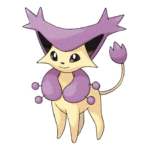 While the ears may confuse some, this is definitely a cat styled Pokemon! 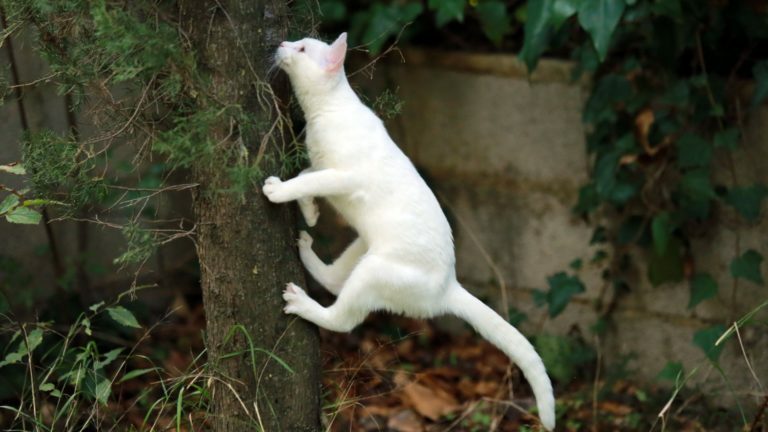 I am not 100% sure what kind of cat it is modeled after but I would like to think of it as a panther mixed with a lion. 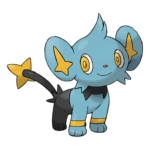 Shinx is an adorable cub not featuring any of the black mane around the head, likely to be based on a lion or lynx cub. Luxio starts to bring in the mane with a very tough look. 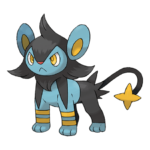 Finally, Luxray shows the full mane with the toughest look of the trio. 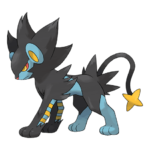 I am not sure why, but Luxray reminds me of Sonic. Ah! 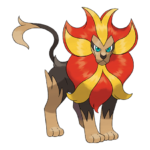 The lion Pokemon! I really do appreciate how they approached this concept. 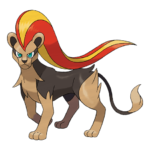 When you have a male Litleo, it becomes a well-maned male Pyroar but if you have a female, it becomes the female equivalent with no mane. This concept is also seen in other Pokemon and is something I wish they did since first gen. Either way, Simba would be proud! 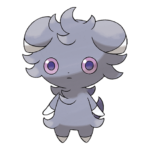 I can’t be alone with saying that Espurr looks like that one stuffed animals that didn’t get played with enough! I love the concept behind it, almost appearing like a teddy bear. 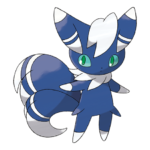 Meowstic is another Pokemon to feature both sexes, the navy being a male and the white, a female. Whichever you prefer, both are very cute and quite tough for their size! 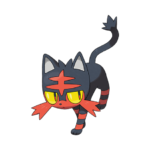 The newest addition to the list is none other than one of three starters from Pokemon Sun & Moon, Litten! 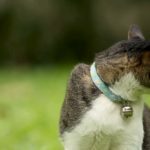 This cute cat has the appeal of the tradition “I’d had enough petting for the day” cat with a fun twist… It is a fire type! 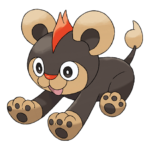 Unlike Pyroar, this little guy is far from a lion! 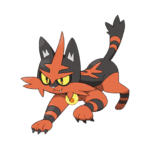 The second stage (Torracat) has some differences that begin to make this Pokemon more tough including a fire bell, claws, and a slightly more “rugged” coat. 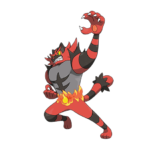 Litten’s final stage (Incineroar) is basically what I would consider Pokemon’s cat-man version of Brock Lesnar. I shall call him… BROCK!… LESPURR! 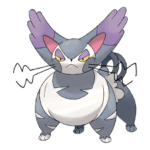 This fierce looking fella is the featured Legendary Pokemon of the Sun game that will be coming out in November. His design is very different from Pyroar in that he appears more like the sun and has a galaxy inspired forehead. Believe it or not, he is not even a fire type! NOPE! He is a steel and psychic type. Mega-Metagross is an example of how powerful this mix can be! 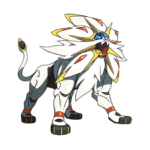 I have a feeling Solgaleo will be an instant favorite for people into competitive play… Assuming this powerful lion is legal! Dusk Mane Necrozma is a fusion of Solgaleo and the ultra beast, Necrozma. 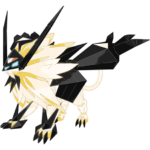 Whilst this is a fusion and not a stand-alone cat Pokemon, I feel it is worth adding seeing as it is still a form using Solgaleo, the Sun Legendary lion. This 4’11 feline juggernaut will be a fast favorite! 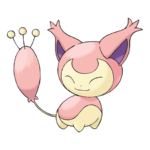 Its base speed is 144 which beats out Electrode, making it the fastest electric Pokemon in the game! 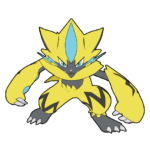 Zeraora will be available in Ultra Sun and Ultra Moon in the US at Gamestop from October 19 to November 9! 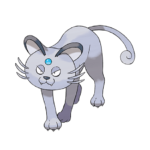 It’s worth mentioning that there are other Pokemon who do have cat-like features but because they are too heavily split between being a cat and something else (Like Snorlax for example), they did not make the list. Many common ones people put up for debate include the Eeveelutions, Mew, Raikou, and Absol. 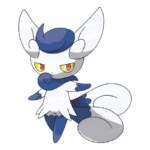 The Eeveelutions are based on elemental foxes, the balance of energies in “one”. 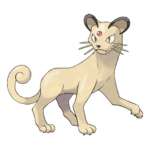 Mew is an embryo-like alien said to be formed from mixed DNA of all Pokemon. Raikou is based loosely on Raiju, also known as the “thunder beast” and is made up of dog, cat, and rodent parts. Finally, Absol, which is loosely based on Bai Ze meaning “White Marsh” in Chinese. YesSSSSSSSSSSSSSSSSSSSSS!!!!!!!!!!!!!!!!!!!!!!!!!!!!!!!!!!!!!!!!!!!!!!!!!!!!!!!!!!!!!!!! 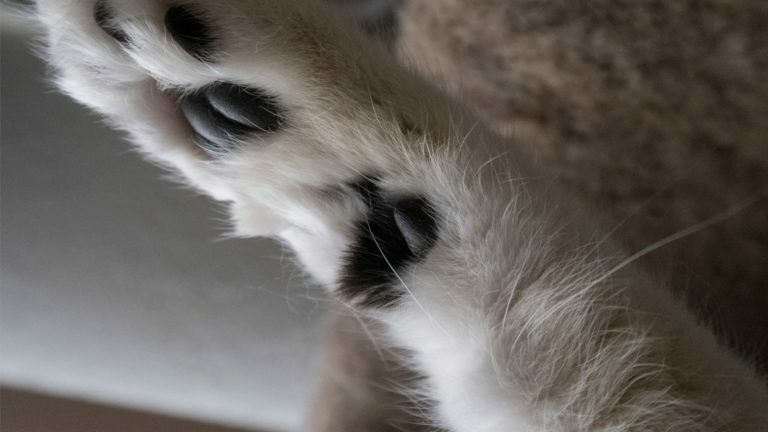 MY WHOLE LIFE IS BASED ON LITTEN!!!!!!!!!!!!!!!!!!!!!!!!!!!!!!!!!!!!!!!!!!!!!!!!!!!!!!!!!!!!!!!!!!!!!!!!!!!!!!!!!!!!!!!!!!!!!!!!!!!!!!!!!!!!!!!!!!!!!!!!!!!!!!!!!!!!!!!!!!!!!!!!!!!!!!!!!!!!!!!!!!!!!!!!!!!!!!!!!!!!!!!!!!!!!!!!!!!!!!!!!!!!!!!!!!!!!!!!!!!!!!!!!!!!!!!!!!!!!!!!!!!!!!!!!!!!!!!!!!!!!!!!!!!!!!!!!!!!!!!!!!!!!!!!!!!!!!!!!!!!!!!!!!!!!!!!!!!!!!!!!!!!!!!!!!!!!!!!!!!!!!!!!!!!!!!!!!!!!!!!!!!!!!!!!!!!!!!!!!!!!!!!!!!!!!!!!!!!!!!!!!!!!!!!!!!!!!!!!!!!!!!!!!!!!!!!!!!!!!!!!!!!!!!!!!!!!!!!!!!!!!!!!!!!!!!!!!!!!!!!!!!!!!!!!!!!!!!!!!!!!!!!!!!!!!!!!!!!!!!!!!!!!!!!!!!!!!!!!!!!!!!!!!!!!!!!!!!!!!!!!!!!!!!!!!!!!!!!!!!!!!!!!!!!!!!!!!!!!!!!!!!!!!!!!!!!!!!!!!!!!!!!!!!!!!!!!!!!!!!!!!!!!!!!!!!!!!!!!!!!!!!!!!!!!!!!!!!!!!!!!!!!!!!!!!!!!!!!!!!!!!! You’re missing my favourite legend, Raikou! Not to mention Mew and Mewtwo! BTW I can’t stop loving Incineroar and Zeraora! Thanks for your comment Raike. 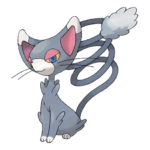 As mentioned, Mew is based on DNA so it is meant to look like an embryo of sorts. The name “Mew” applies to the sound of a baby animal. 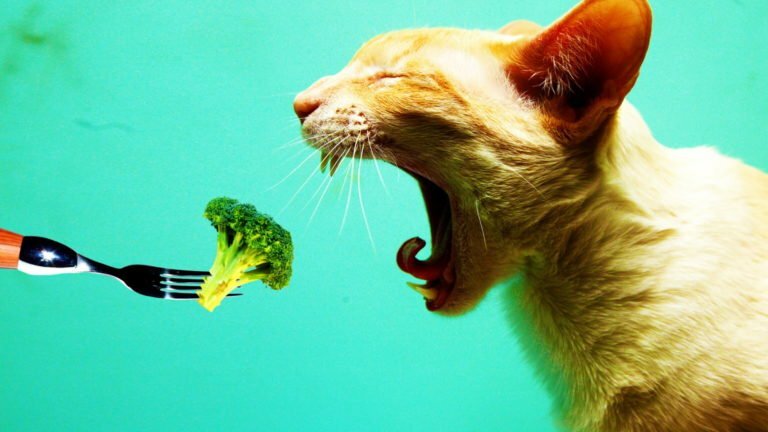 Cats aren’t the only ones to mew when they are babies. Mewtwo again is based on DNA and also cloning. Raikou is considered a Pokemon based on Raiju the thunder beast which is made up of feline, canine, and rodent parts. The list is for cat/feline only Pokemon. I’m sure that’s true, and if there is one legendary pokemon that i connect with, it HAS to be raikou.